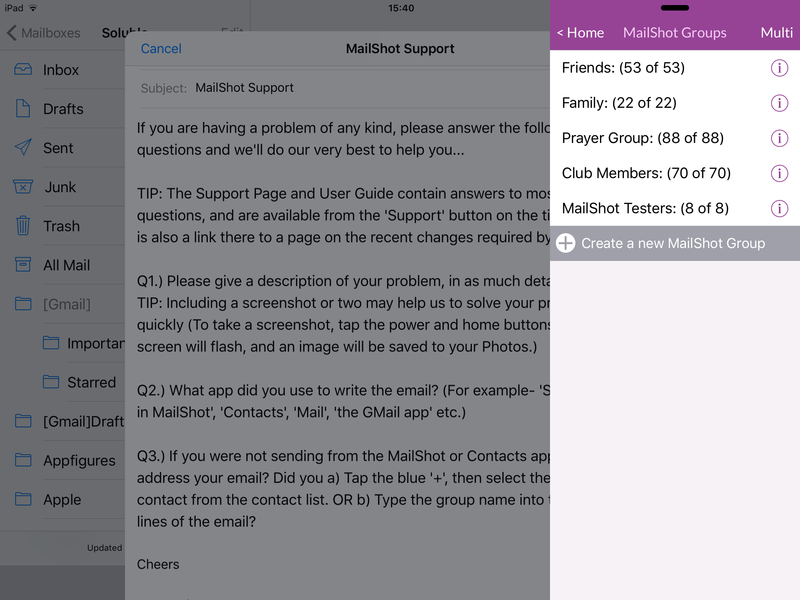 MailShot adds Share Extensions and Multitasking. We have just released version 4.2 of MailShot, continuing our plan to optimise the app following the big changes that iOS9 forced upon us. This new update brings both Share Extensions and iPad MultiTasking. Share Extensions- Share file attachments and links from apps. This “Share Extension” creates an email addressed to a group, containing the file. It can be used to share photos, documents, contacts, map locations, weblinks and many more items directly to a group. Use the “To:” and “Bcc:” selector to choose which address line you want the group placed on. TIP: If you cannot see the MailShot icon, look for the “More” menu at the far right of the top icon row. You can use this menu to enable it, and also to sort extensions into your preferred order, for easy access. iPad MultiTasking- Use MailShot alongside other apps. You can now address your email with similar ease to the old method, by popping up Mailshot, selecting a group and copying it to the clipboard, then pasting it to the address line in Mail. 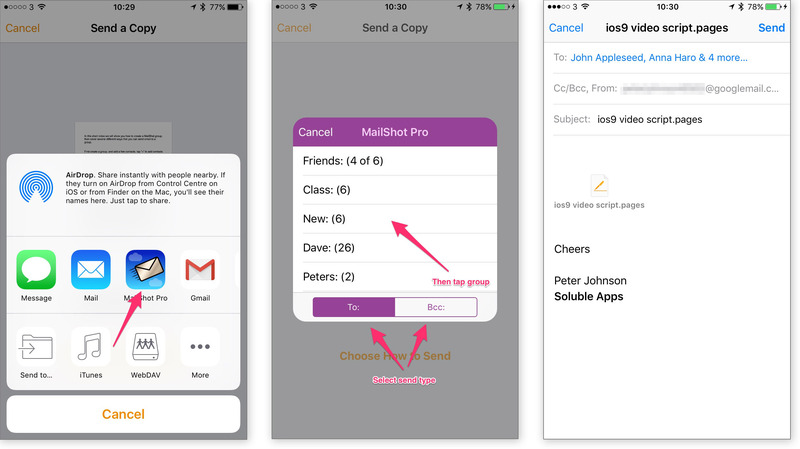 You can read more about the ways to address email in MailShot on our iOS 9 support page or in our new tutorial video. We are continuing to work to make MailShot as great as it can be in iOS9. We are currently working on the ability to send to multiple MailShot groups at once.